Citing “gathering evidence of an emerging negative phase” in Atlantic temperature swings driven by a weakening Gulf Stream, the study calls for research to be stepped up. “With potentially substantial implications for the climate of north-west Europe, it is clearly desirable to quantify this risk further,” it says. 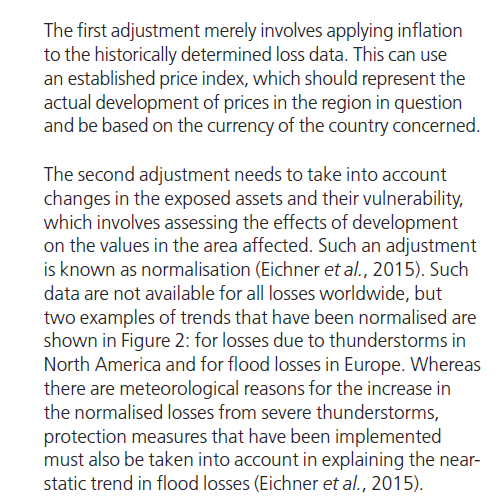 In other words, the data is worthless, and cannot be used to prove trends in weather events. 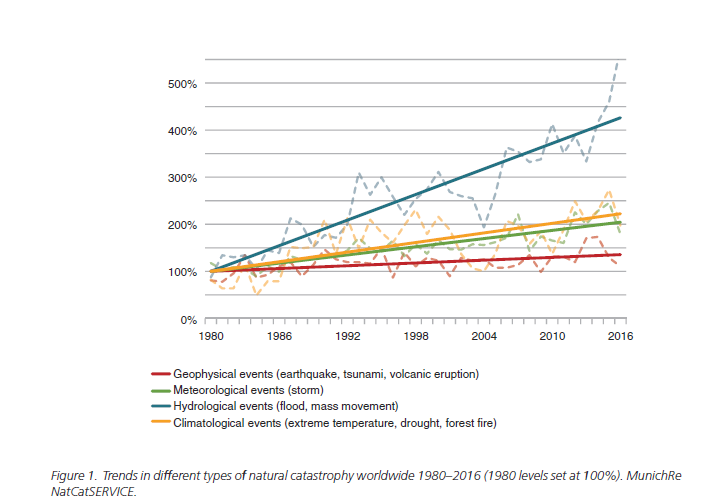 This alone wrecks the central plank of the report’s claims, that extreme weather events are increasing. (It is also relevant to point out that the report itself states that the MunichRe data has not been peer reviewed). This process of normalisation is in itself highly subjective, and should not be accepted in any way as “factual”. But one wonders why they did not use the official NOAA tornado data, if they wanted to assess storm trends. 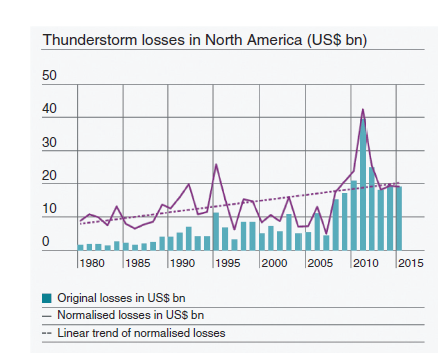 (Most of the thunderstorm damage would, presumably come from tornadoes, as the 2011 spike indicates). 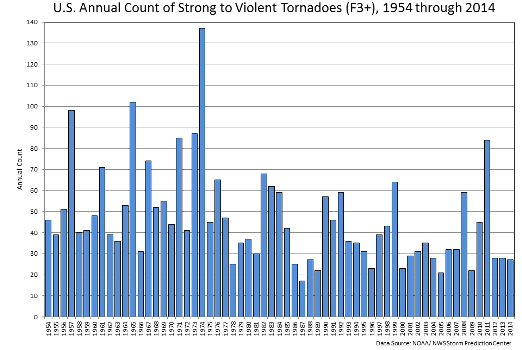 We can see that the number of violent tornadoes has clearly been declining since 1954. There is simply no need to use insurance data, with all of its inherent bias, when we already have the accurate climate data anyway. 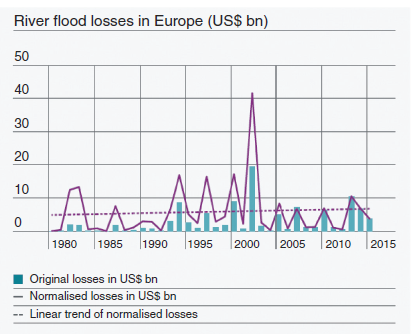 According to the MunichRe data for Europe floods, there does not appear to be much going on, other than a big spike in 2002, the year of the big Central European floods. 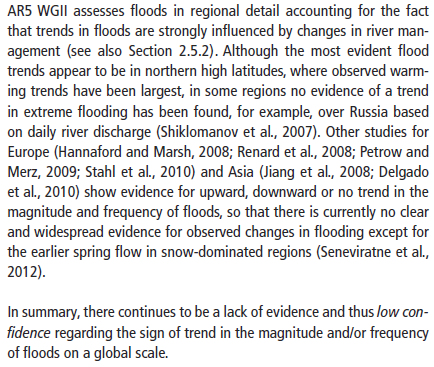 However, we also know that in the UK the 1970s and 80s were a “flood dry” period. This coincided with the cold phase of the AMO, which tends to result in lower rainfall over N Europe (see NOAA here). We would therefore actually need to go back much further to identify meaningful long term trends. There is a strange section in the report about the weakening of the AMOC (Atlantic meridional overturning circulation). It even discusses the possibility that it could switch off entirely “with substantial implications for Northwest Europe’s climate”. 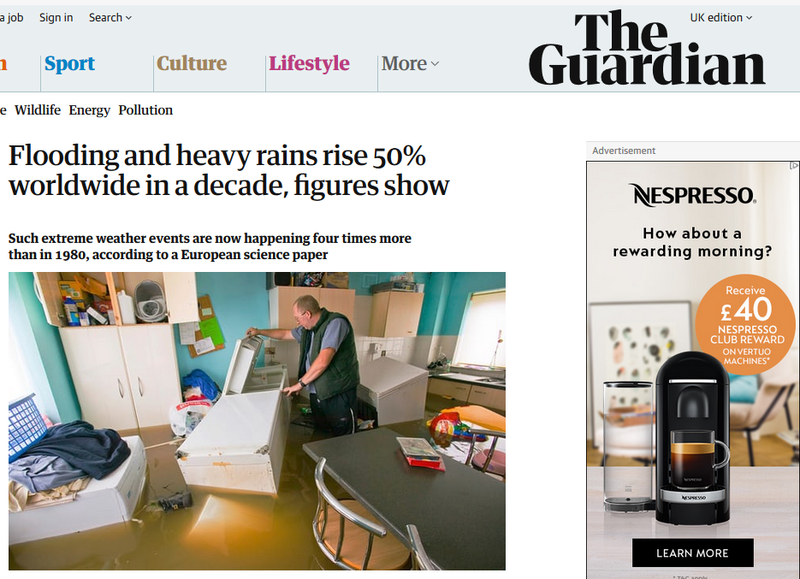 And there is the usual nonsense about “melting Greenland icecap”, which is going to be responsible, which the Guardian hypes up to maximum alarm. In fact, what the report reveals is something much more banal. There are signs that the Atlantic Multidecadal Oscillation (AMO) is about to enter its negative phase, which will bring lower temperatures to much of the NH for the next thirty years. 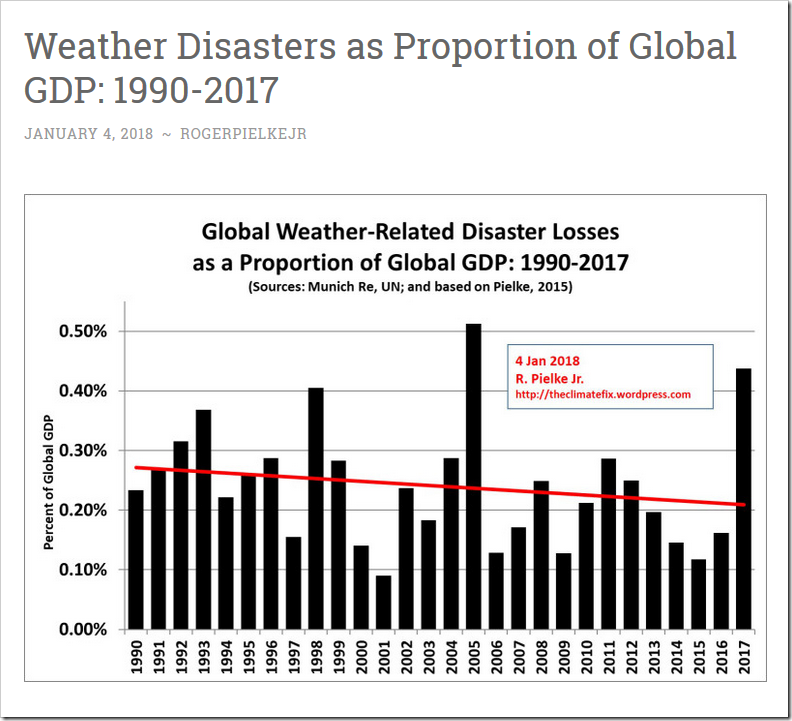 There is no secret about this, as the AMO works on a 50 to 60 year cycle, and it has been positive since the mid 1990s. Neither does it have anything to do with global warming, as it is a perfectly natural process which has been around for at least the last millennium, and probably much longer. As the report identifies, freshwater plays a key role in the process. During the warm phase, higher temperatures across the Arctic lead to increased rainfall. This finds its way back to the Arctic Ocean, particularly from rivers in Siberia. It is not clear where he gets this ridiculous nonsense from. As far as the UK is concerned, at least, these big switches from warm to cold have always been commonplace. Claims that a warmer climate is leading to more extreme weather contradicts what we know about climate history, in Europe at least. throughout Europe, the years 1560-1600 were cooler and stormier, with late wine harvests and considerably stronger winds than those of the 20th Century. Storm activity increased by 85% in the second half of the 16th Century and the incidence of severe storms rose by 400%. HH Lamb came to similar conclusions, “there was a greater intensity, and a greater frequency, of intense storm development during the Little Ice Age”, in his book “Historic Storms of the North Sea, British Isles and Northwest Europe”. Many other studies come to similar conclusions, see here. In short, a warmer climate is a less extreme one.